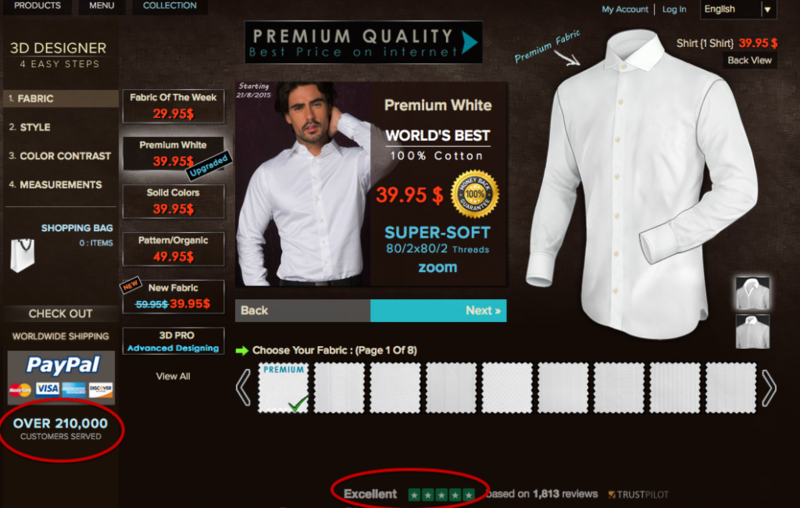 Home » Articles » 3 Steps to Creating the Perfect Custom Shirt for Summer! The Golden Rule For Summer Fashion is you can never go wrong with Pastel! But what exactly are Pastel Shades? 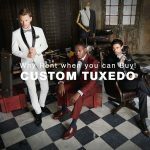 iTailor.com – the World’s Leading Online Tailor, offers you over 30 shades of Pastel Shades to choose from – a One-Stop Shop to collect all your Pastel Colors. Furthermore, you can view the designs and shades in Real Time! As mentioned earlier, pastel shades are bright in color. Scientifically speaking, the light colors will reflect the heat of the summer sun, thus keeping you cool. But because of their Soft tone, Pastel colors are very appealing to the eyes, especially in glaring, bright sunlight. Pastel Custom Shirt are also highly adaptive – they pair perfectly well with lighter colored shorts as well as darker denim jeans, which allows you to wear them casually during the day, as well as for more formal summer events in the evenings. I love white custom shirt but does White fall into the Pastel equation? Maybe, maybe not. Does it matter? Not really. I’m a fan of white shirts because of their versatility in fashion. I can opt for a buttoned down, long-sleeve custom shirt to adorn formally with suit and tie for work. AND I can choose to wear the same shirt as an open collar, with sleeves rolled up for more relaxed occasions. The latter is an ideal option for Summer fashion as well. Many may frown upon the idea of mixing crisp white working shirts as leisure wear. Firstly there is the worry that the shirt may be excessively worn out or crease relentlessly in odd places, rendering it inappropriate for work. Secondly, when worn casually, a plain white shirt may be deemed too boring on its own. Step 2: Choosing the Right Fabric. We are increasingly heading into the Fashion age where ‘there is no certain wrong or right.’ Anything goes! Just pause and reflect on the modern Fashion sense on your local commute to work in the subway (or tram? flight?). You’re as likely to be seated next to a person who’s dressed up in the latest GQ Suit Style, or someone who’s in the latest trend of Hoodie, Tee and Jeans. However, when it comes to Summer Custom Shirt Fabrics there are only 2 acceptable Fabrics. Cotton and Linen. Logically, these are the only two options because of their “breathable” properties, allowing your body to naturally ventilate in the summer heat. iTailor.com only offers 100% cotton that are of the finest grade, as testament by their world’s largest customer turnover rate, as well as their highest ranked status on Truspilot. The cotton selection offered is easy care, which makes it ideal to be used as both formal and informal wear. Step 3: Style it! Add Contrasts and Roll-Up Sleeves. Alright I’ve selected my pastel shade (Pink), and it’s in 100% pure cotton. Now how do I eliminate the “plain old boring look”? If you buy off the rack, then you’re probably stuck with the Plain Old Boring Look. So Go Custom! Here are simple ways to spice up your Pastel (or White) Shirts. Add Contrasts – Add contrasts to the cuff and collar. Inside contrasts (in Paisley or Patterned Cottons) are highly recommend for White Shirts. Roll-Up Sleeve – Because it is the Quintessential Summer Custom Shirt Style. Tri-Tab Bottom – So you can wear the Custom Shirt casually un-tucked. Personalise – Add a monogram at the bottom of the placket or on the cuff to exude confidence and attention to detail. Now go be the Bond of your Summer!